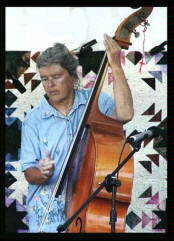 -TRIBUTE: The musicians portrayed in this e-booklet are totally inspirational to beginners and experienced musicians alike. 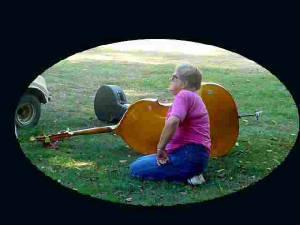 If you go to bluegrass festivals, you will find them all in the thick of the action. Most times, they hold the action together til the "last dog (house) sleeps". 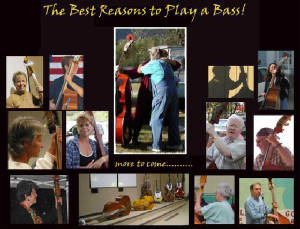 The Yahoo Group <northwestbluegrass> helped compile this pro/con list in considering an unright bass as an instrument of choice. Many, if not all, the situations were actually taken from true-to-life experiences.